What it means to have a Membership. Your child's ticket to Learning in a fun environment. Becoming a Member at TinkerTank is how you become a part of TinkerTank. Every time slot at TinkerTank is a time that you get to come in a create! When you first come in we'll take you on a journey through a series of introduction lessons. You will choose your session time, for each week. If you would like to add more time - see our "Clubhouse" options. 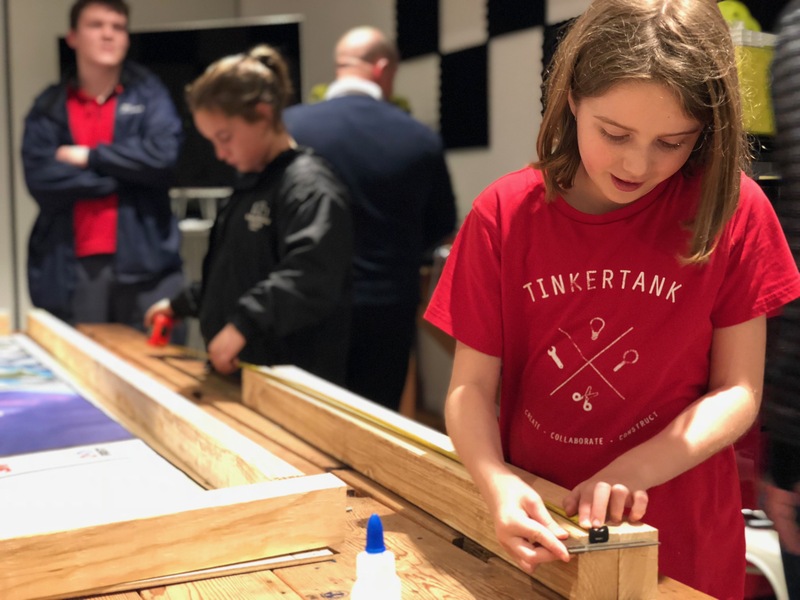 After your first few sessions at TinkerTank - you'll create a TinkerTank Playlist of activities, planned out for a few weeks. Each week we'll work through your TinkerTank Playlist to learn new skills with your mentor. Being a member at TinkerTank gives you access to our classes, mentors and our learning platform (coming soon!). Our core value at TinkerTank is project based learning (PBL). PBL says that you build your skills progressively through activities and projects not by setting artificial barriers and limitations based on a 'skill level'. FIRST Robotics Teams (Weds 4:00pm - 7:00pm & Saturdays 10am - 1 pm) During Comp times we may add days or extend hours at no extra charge. Please let us know if you have any other questions - or if you need more information on our extra services.